Don't need the party room for food? Want to have a smaller gathering instead of a formal birthday party? Or may be you just want to have a play-date? Reserve a Private Jump on any day from Monday to Thursday. The Private Jump is for 70 minutes of jump time in the arenas only. Package price is $200 (+tax) for up to 10 kids. 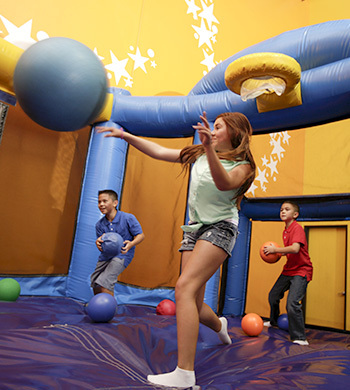 Additional child above the Private Jump package is $18.95 per child. You can still customize your party time with fun experiences such as GLOW Wars, Bubble Extravaganza, and Boppin Balloon Bash! This is for jump time only. If requesting to serve food in our party room, please refer to the birthday packages. 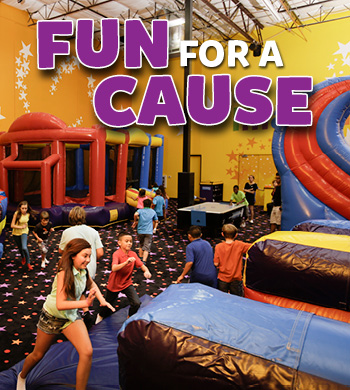 Bring the kids to Pump It Up for your Field Trip. We have Field Trip packages for up to 25, 50, 80 kids or more. 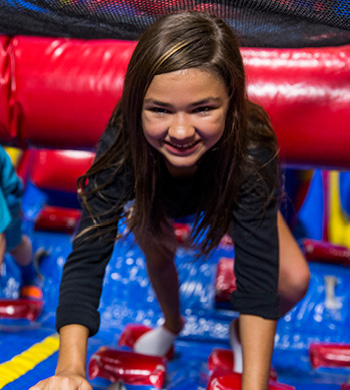 Kids will jump, slide and play at Pump It Up in private and secure play areas. And Coordinators will have a jumping good time too! If you want to have food or snacks, we can open our party rooms as well. We’ll make your Field Trip easy and hassle-free. If you are a tax exempt organization, please provide your tax exempted form. Please call us for more details.